By Lisa Montgomery · January 3, 2019 • The Audiohouse in Vero Beach, Fla., treats clients and trade partners to a beautiful and functional space, rather than plunking them down in a dark home theater for a demo. 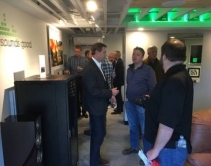 By Jason Knott · October 23, 2018 • Sounds Good hosts grand opening of its new Control4 Certified Showroom, co-located with high-end golf manufacturer to woo elite clients. 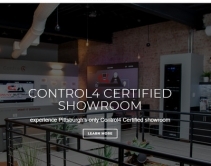 By Jason Knott · September 21, 2018 • Control4 Certified Showrooms worldwide will hold a second C4Yourself Day on October 18 designed to showcase latest smart home innovations. 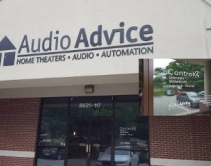 By Arlen Schweiger · June 4, 2018 • Venerable North Carolina integrator Audio Advice operates Control4 Certified Showrooms in Raleigh and metro Charlotte; branding greets visitors before entering the door while C4 doorbells, speakers and networking add to the integration mix. By Jason Knott · May 31, 2018 • Malibu Wired's new Control4 Certified Showroom on swanky Sunset Blvd. opens with brighter colors, open concept and hands-on displays. The company joins 70 other dealers with an open house on May 31 for #C4Yourself day. 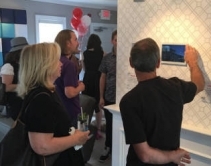 By Julie Jacobson · May 8, 2018 • About 140 of the first 250 “Control4 Certified Showrooms" opened their doors today, showcasing smart-home technologies including lighting controls, entertainment, and voice-controllable home automation. Should You Buy or Lease Your Showroom? 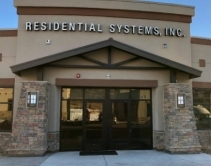 By Jason Knott · May 8, 2018 • Integrator Residential Systems Inc. stops leasing and buys an office/showroom to contribute to a future exit strategy. Results include wealth creation, boost in employee morale, and tax benefits. Let's do the math. By CE Pro Editors · December 5, 2017 • Hugh and Joyce Cobb flipped their Woodbury, Tenn., home into Cobb Home Innovations' Experience Center smart home featuring RTI controls, JVC projection, Sonos multiroom audio and more. Is This the Best A/V and Home Automation Showroom Ever? By Jason Knott · November 15, 2017 • Hanson AV builds ornate Cincinnati showroom with multiple home theaters, a smart outdoor space and ‘home within a home’ run by a Control4 home-automation system. By Chelsea Cafiero · August 18, 2017 • Chesapeake Systems Service's new CSS Experience Center uses Elan control, SpeakerCraft audio and a CinemaTech 4K HDR Dolby Atmos home theater to tell a story about tech + luxury. By Chelsea Cafiero · July 2, 2017 • This 4th of July, pick an especially patriotic movie for your home theater demo like Patriot's Day, Independence Day or American Sniper. By Chelsea Cafiero · June 16, 2017 • The showroom software, developed by BDX, allows users to experience how technology will look and function in a home while moving virtually through each room. By Chelsea Cafiero · June 14, 2017 • The new CinemaTech showroom will present 'test seating' and samples of all leather, fabric and materials available for personalized selection. 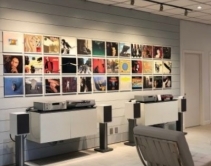 By Jason Knott · April 14, 2017 • HTSA member Sound and Vision uses a 200-square-foot faux patio area in its showroom to demo outdoor audio and video, which has resulted in successful outdoor AV sales. By CE Pro Editors · March 2, 2017 • Echo Systems in Nebraska has built a $2.5 million facility to show customers everything from a dream home theater to detail-oriented rack production.